Herbert Snow, born on 29th June 1835 and baptised on 29th June 1835 at St James Church, Westminster, London. He was educated at College and was admitted pensioner. at St John's College, Cambridge on 8th June 1852. He matriculated Michaelmas. 1853; Scholar 1853; He was a Porson Scholar in 1855 and won the Browne medal in 1856; the Camden medal also in 1856;. He graduated B.A. in 1857, M.A. in 1860, B.D. in 1881, D.D. in 1882 and a Fellow from 1858-60.He was a Rowing blue in1856 and 1857. Herbert was Ordained Deacon at Buckingham by the Bishop of Oxford, S Wilberforce, on 20th Marsh 1859 and Priest at Cuddesdon in 1860. He was Assistant Master at Eton from 1858-1874,. 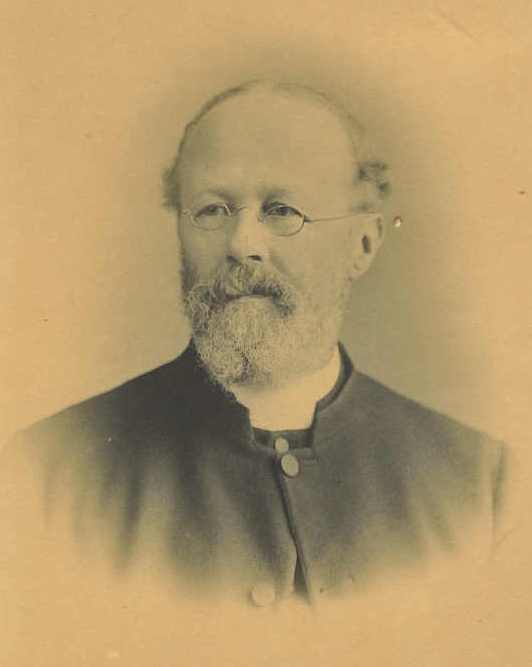 Principal of Cheltenham College from 1874-1888, Vicar. of St Luke's, New Kentish Town from 1888-1889, Professor of Greek at Durham University from 1889-1910. He assumed the surname of Kynaston, in 1875 by deed poll; this was at the request of his Uncle, Herbert Kynaston, who was anxious that the old family name should not become extinct. He was a Member of the Alpine Club, a prominent Freemason; Grand Chaplain of England. He spoke in five or six languages and could improvise effective poetical translations: Once, in less than 2 hours, he rendered an Italian song into English verse which fitted the music. He died on 1st August 1910. According to the 1851 Census, Herbert was a boarder at Eton College aged 15. William died on 13th April 1922 and was buried in Ochlynge Cemetery, Eastbourne; Grave UD245. The inscription reads "Dying and behold we live, have nothing yet possessing all things"
According to the 1881 Census, Herbert, aged 45, Principal of Cheltenham College M.A., was living at Montpellier, Bath Road, Cheltenham, with Charlotte, aged 40, born in Yorkshire, and the following children: William Herbert aged 19, born in Eton, a scholar; Eleanor Charlotte aged 7, born in Eton and a scholar. Also present was William Cordeaux, Charlotte's brother, aged 35, a Barrister at Law, born in Lancashire. There were also five servants present.